Commercial trade shows provide an excellent way for businesses to present their services or products to potential clients and consumers. By having staff members on hand to give out promotional items, answer questions, and make connections in person, businesses can gain customers and spread news in just a day or a weekend. The world of trade shows captures a wide range of interests. 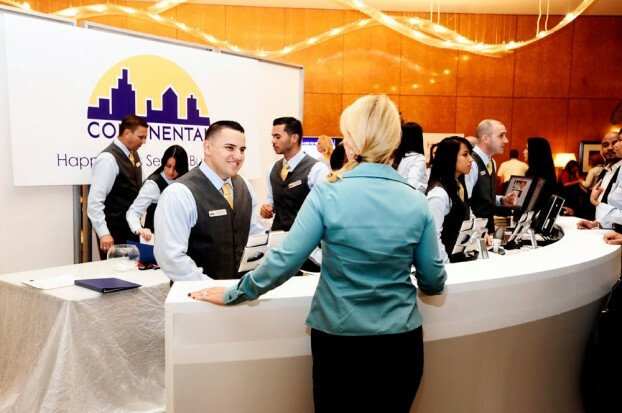 From restaurants and food to electronics and manufacturing, there is no chance that your business will not find a trade show designed to draw new clients or customers to your specialty. The yearly E3 trade show—held in Los Angeles—covers businesses in the computer and video game industry. Independent and large computer and video game manufacturers introduce new games, and the latest software innovations are shown to the public during this exposition offered by the Entertainment Software Association. If you have games or electronic equipment that has anything to do with video gaming, this is a must-attend event. Much like E3, PAX also highlights the electronic game industry, but PAX takes place on the East Coast. Held yearly in Boston, PAX draws thousands who want to learn about the latest games and technology. Las Vegas is home to the largest trade show in the United States. Once a year, the International CES draws people of all ages to a four-day exhibition that showcases consumer technology. This is definitely the trade show for anyone with innovative technology to show off. From automobile manufacturers to computer companies, there is something for everyone. The list of exhibitors grows every year, but it’s common to find Audi, Intel, Logitech, Roku, and Verizon booths. At the International Manufacturing Technology Show, exhibitors involved in some aspect of manufacturing display their services and answer questions on solving problems regarding manufacturing. In 2012, more than 100,000 people attended the six-day show. There are two other trade shows that take place in Chicago setting during the International Manufacturing Technology Show. Industrial Automation North America and Motion, Drive, & Automation North America also display their innovative technology breakthroughs in these separate but complementary trade shows. This specialty foods exhibition takes place every summer in New York City and draws thousands of Specialty Food Association members. Tens of thousands attend the annual event, looking to learn more about the latest and greatest in food trends. In addition to being a great place to show off foods and spices, the Summer Fancy Food Show wins awards for its attention to green initiatives. While food is certainly the focus of this event, planners and exhibitors also stop to think about the effects their trade show has on the world. South by Southwest (SXSW) is a yearly music, film, and interactive technology exhibition that features live concerts in addition to trade shows. The trade shows cover music and sound equipment, instruments, and video games. Among the many yearly exhibitors are companies like Audio Technica, Consumer Electronics Association, the New York Times, Rockstar Labs, and Taylor Guitars. Look for SXSW every spring in Austin, Texas. Douglas Charleston is a freelance writer based in Durham, NC. For tips on trade booth design, Douglas recommends that interested readers visit Excalibur Exhibits. Image credit goes to BombshellPro. Next story Does Hiring A Child Support Lawyers Make “Cents”?